Are you looking for a car insurance estimate without personal information? If you prefer to get an estimate without entering a ton of personal information, you do have options. Below, you’ll find everything you need to know about getting quotes. This includes what information is commonly requested, how your premium is calculated and why getting your car insurance quote without giving your social security number can be a good idea. Completing a Car Insurance Application: What Information is Needed? All of this information will be used to determine your risk and the amount of your premium. In most states, insurance companies are allowed to factor your credit rating into their decision. While most drivers don’t think this is fair, numerous studies have shown a connection between a driver’s finances and the chances they will file a claim. Keep in mind that providing your social security number allows insurance companies to access your credit score. Unfortunately, the more your credit history is accessed, the lower your score becomes. This is one reason it is so important to not give out this information when you’re simply looking at quotes. There are several reasons an insurance company will ask for this information. First, it allows them to give you a more accurate quote. By having access to your driver license’s number, they can pull your driving record, which details the number of accidents you have been involved in, how many traffic tickets you have gotten, and more. In addition, giving out personal information, particularly your social security number and driver’s license number, shows that you are a serious shopper. This gives insurance companies an indication that you will be somewhat likely to go ahead and purchase a car insurance policy with them. Finally, this is the information they need to add you to their database. This makes it easier for them to reach out to you if you decide to go with a different insurer. Of course, the more they call, text, or email you, the more irritated you are going to get. Do They Really Need Your Personal Information? Yes and no. In the past, you did need to provide your basic information in order to get a quote. This includes identifying information that could easily be found on the internet, such as your name, email address, and phone number. Of course, this made it easier for them to continue contacting you, which frustrated many potential buyers. It’s important to understand that you will have to divulge this information to the company before your policy can go into effect. In recent years, more and more insurance companies have begun offering anonymous quotes. Instead of providing information that allows them to identify you, you can simply enter general information. One of the quickest and easiest ways to get an online auto insurance quote is by going through a comparison website. Some of these sites allow you to compare rates without giving out your social security number. There are a handful of carriers that will give out rates without requiring it. 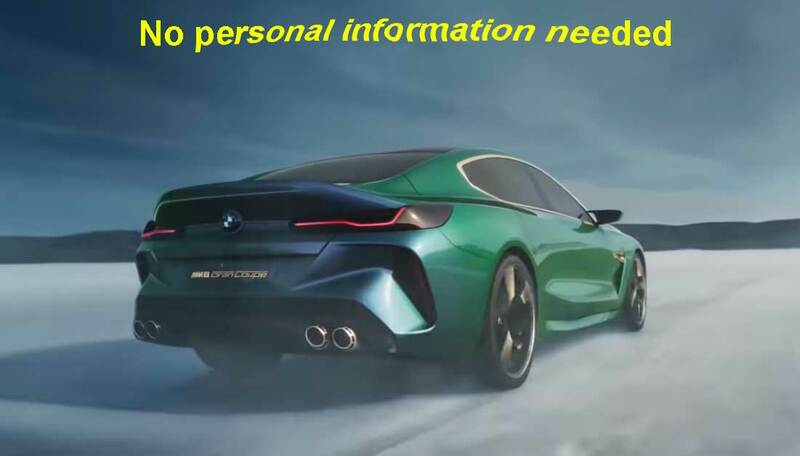 Yes, this is still personal information, though it is not nearly as personal (or likely to make you a victim of identity fraud) as giving out your social security and driver’s license number. Fortunately, you’ll only have to enter this information one time on a comparison website. If you were to go to each insurance company’s website individually, it would probably take you hours to get all your quotes. Plus, company websites are more likely to require that you enter your social security number before you can receive a quote. In addition to all the things listed above, including age, gender, and marital status, your insurance premium is likely to be impacted by the following statistics. Another significant factor in determining your premium is how much coverage you opt to take out. Do you plan on only having liability insurance that will not pay for your vehicle if you are at fault in an accident? Or do you plan to take out collision insurance to protect yourself and your vehicle? This is a decision that you will need to make, depending on the value and condition of the vehicle. Sadly, there are people who will try to steal your identity, something that is much easier to do when your most personal information is all over the internet for everyone to see. Don’t let yourself become a victim. Start your auto insurance shopping by comparing quotes online without personal info. Enter your zip code and compare up to 10 rates.